Need to know when you bought an app from the Mac App Store? Knowing purchase dates of apps can be helpful for accounting and year end tax purposes, plus a variety of other reasons, and here are two quick ways to get that information. Launch the Mac App Store and click on “Purchases” tab, you’ll find that apps are automatically sorted by purchase date, showing the most recently bought apps at the top. 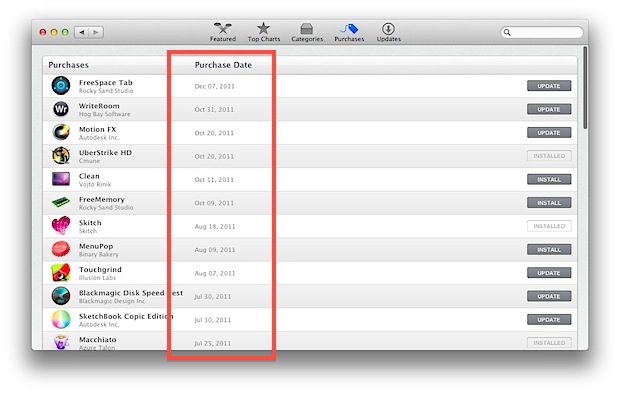 Shown is the original date the app was bought through the App Store, even if the the download progress was stopped. If an app is missing from that list and you are certain you bought it with the same Apple ID, check the hidden purchases list. 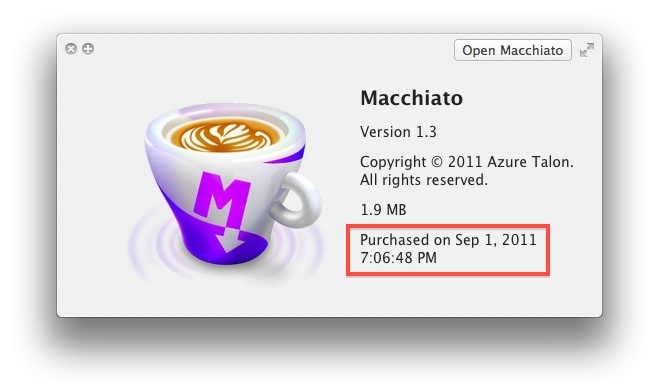 Sometimes the Quick Look version will show the downloaded date rather than the purchase date, despite labeling it as purchase date. This typically happens when an app has been transferred between multiple Macs, and the Quick Look method is being used on the Mac that downloaded the app at the latest date. If you find this inaccurate, just use the Mac App Store method above. Hat tip to FinerThings for the Quick Look trick. So is there any way to view this on a portable device like an iPhone? I can find the list of purchased apps but tue date is not displayed.